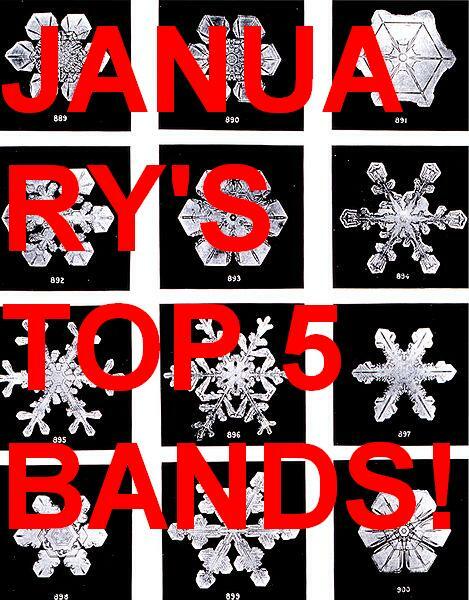 >The Top Five New Bands From January! >It’s snowing here in the UK. Well, when I say ‘snowing’, I mean, ‘light smattering of quickly melting white sludge which is inevitably causing the country to grind to a pathetic halt’. 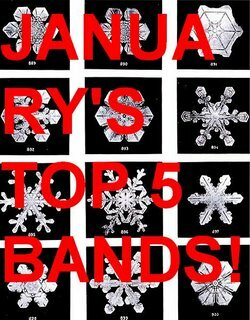 So, seeing as the motorways have spontaneously reconstructed the scene out of Falling Down that causes Michael Douglas’ teeth to grind themselves into oblivion, let’s get zen and reflect on The Top Five Bands Of ANBAD In January! So, if you’re not still reeling from that collection of bands – possibly the best Top Five yet – then why not fill your boots with new bands instead of cold snow here, in the lovely, warm and inviting Best Of ANBAD Archive! Posted on February 2, 2009 by Joe Sparrow. This entry was posted in Today's New Band and tagged Round Up. Bookmark the permalink. ← >Today’s New Band – The Hopeful Spaztiks PLUS! Paranoia!